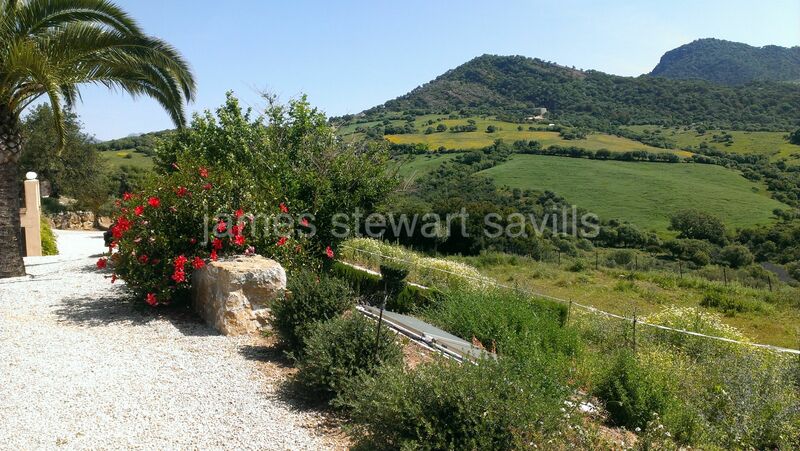 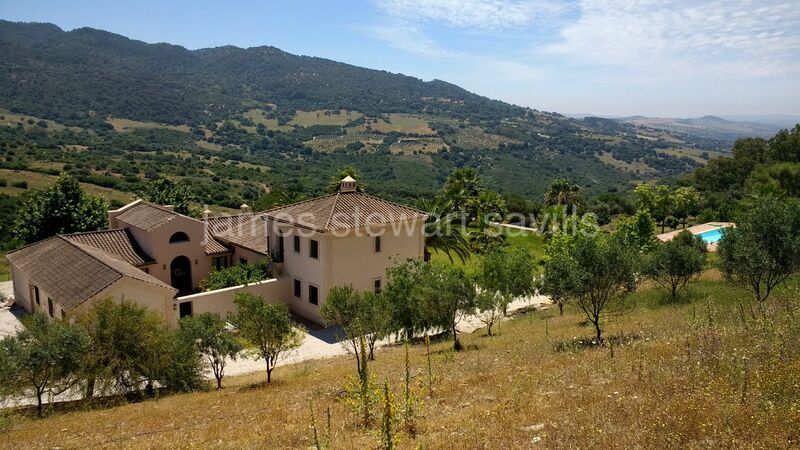 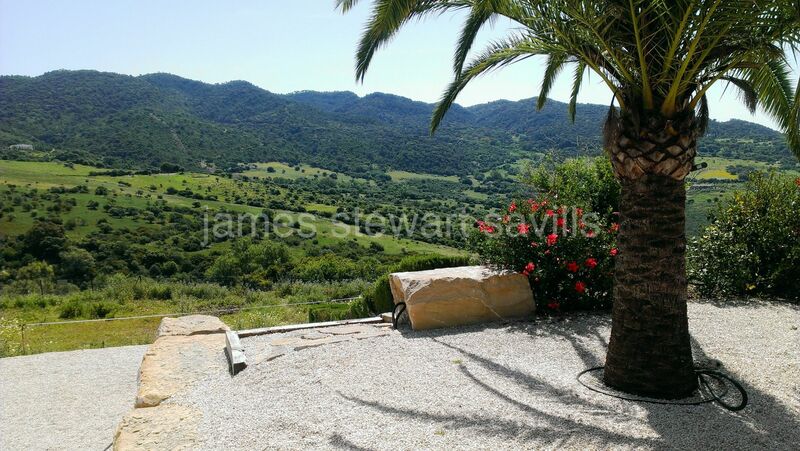 An outstanding country cortijo in the hills of Gaucin which enjoys lovely panoramic country views all the way down to Gibraltar and Morocco. 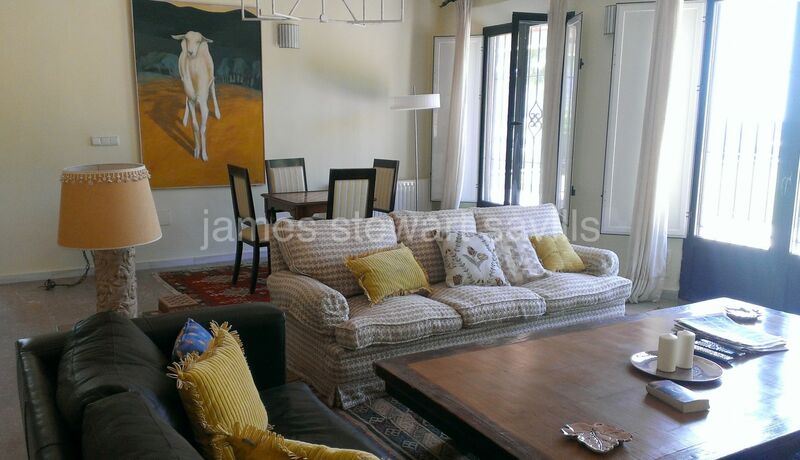 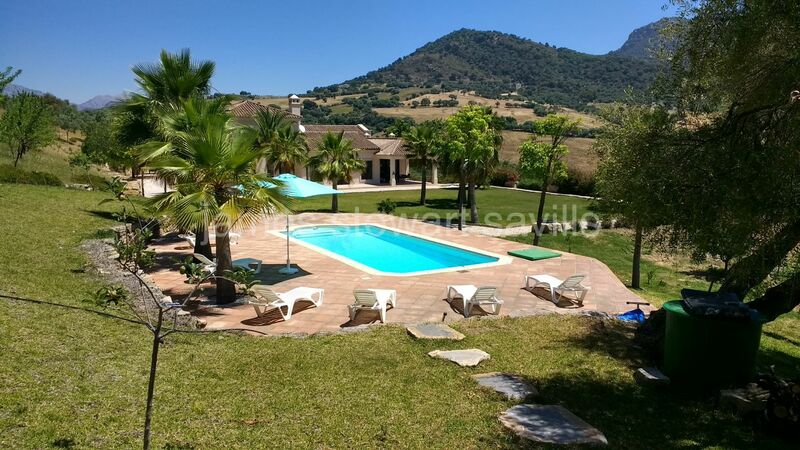 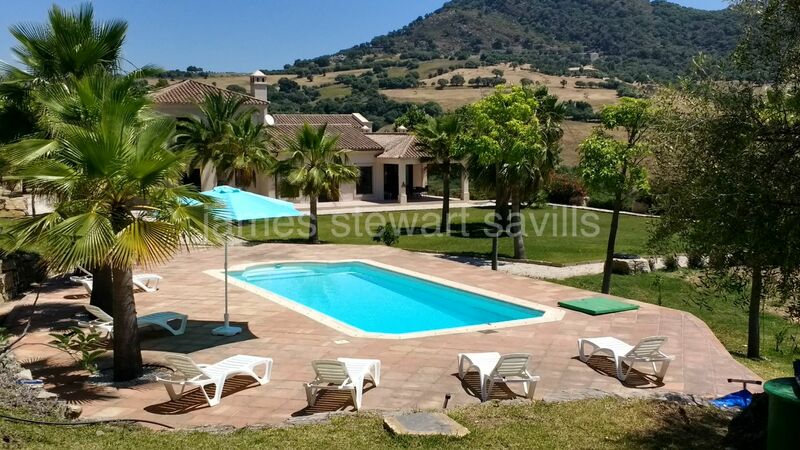 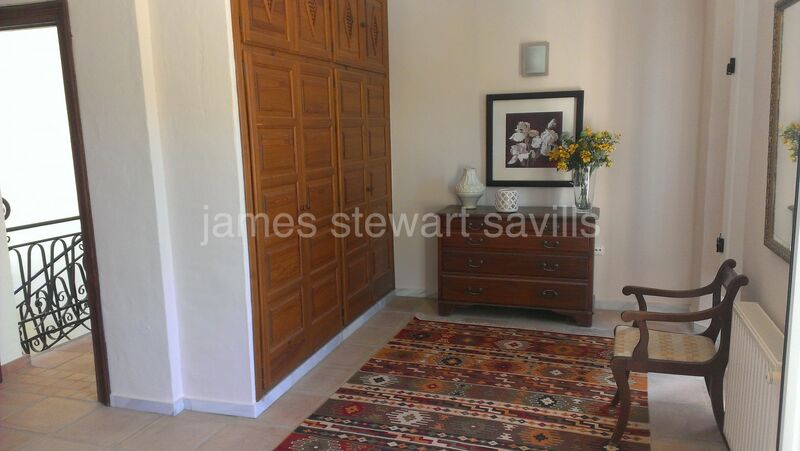 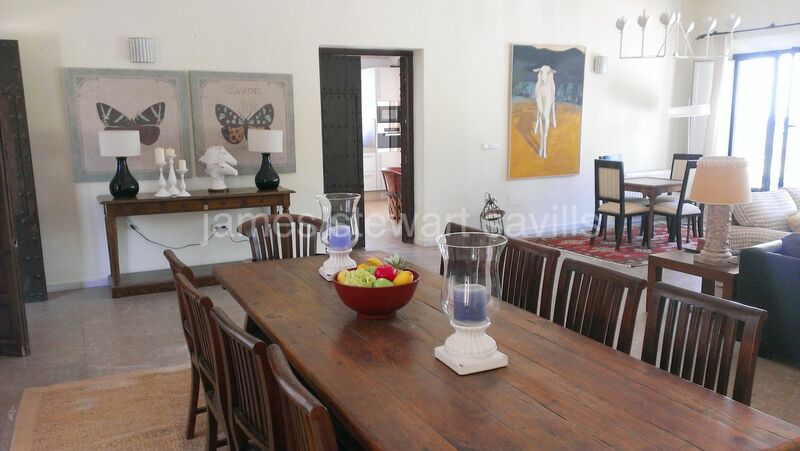 This property is contemporary Andaluz with many country touches such as beamed ceilings, hand carved wooden doors and wrought iron work but with lots of space and light. 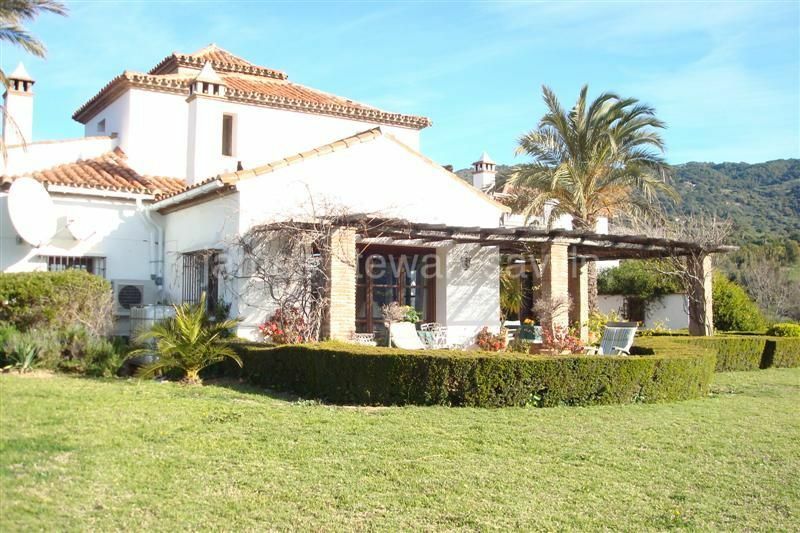 The house is 328m2 built plus another 150m2 of terraces and patios distributed over two floors and consisting of the entrance hall, high ceiling living room with fireplace and dining area, well appointed modern kitchen with utility area, 3 en-suite bedrooms and a study that could be a fifth bedroom. 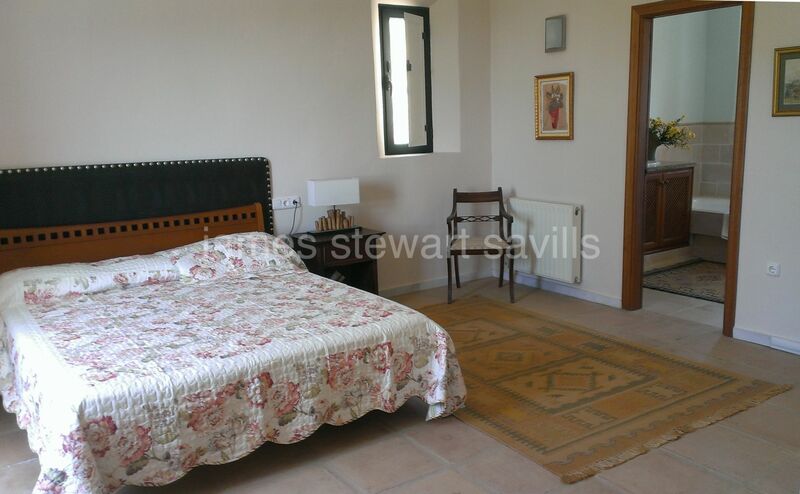 On the first floor is the master suite with dressing area and balcony with stunning views. 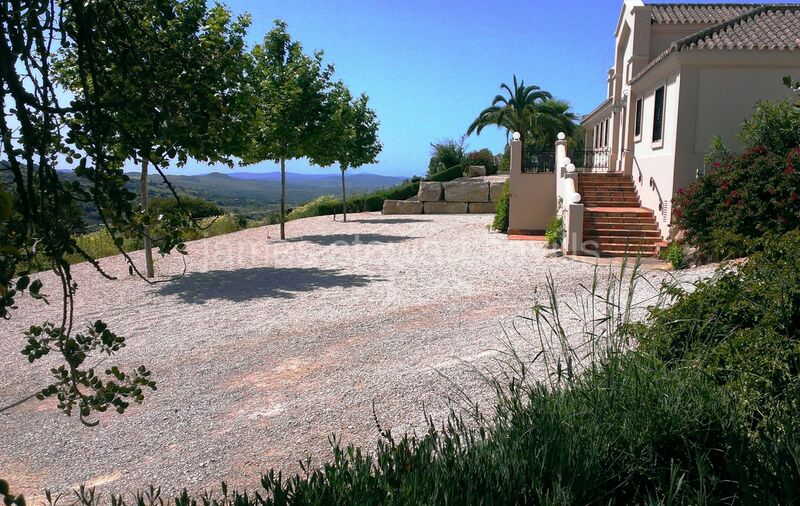 The garden is wonderful with various areas for entertaining or dining al fresco. 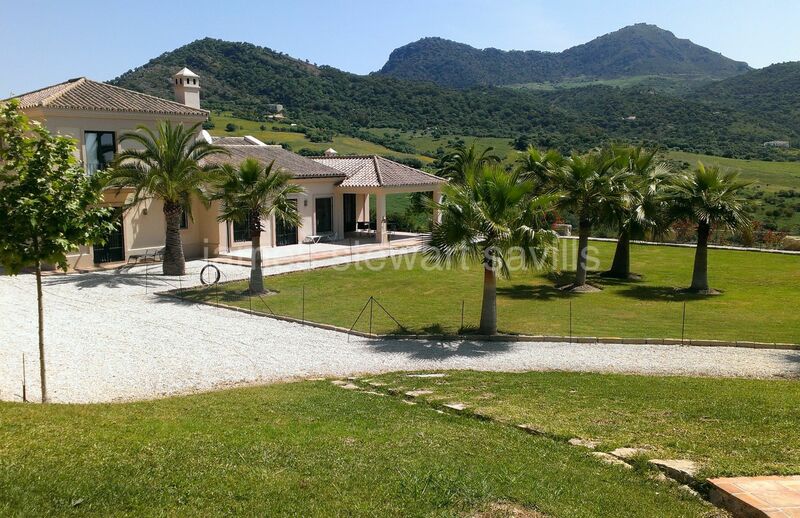 The grounds are ideal for horse grazing or a plantation/vineyard.